GFWC-Tellico Village would like to thank all of our sponsors, our community members that attended this year’s home tour and reception, hostess volunteers and GFWC-Tellico Village members who made the 2018 home tour a great success! The charities that we support will truly appreciate your generosity! The 23rd Annual Tellico Village Charity Home Tour and Silent Auction was held on Sunday, November 4, 2018 from 1-5 p.m. and featured a seminar on decorating trends by Braden’s Lifestyle and coffee by Ugly Mug. 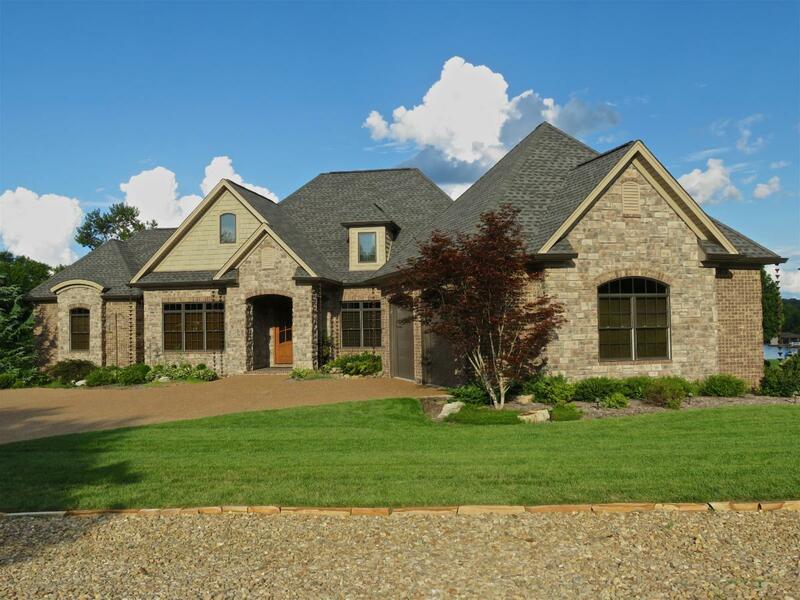 The homes in the 2018 tour are in the Tellico Village neighborhoods of Mialaquo, Toqua, Tanasi and Tommotley Shores. Diamond Level: Amish Excellence, Knoxville; Lakeside Real Estate Group, Tellico Village; Kit Keener of Keener Homes, Loudon; AWS/EcoWaters System, Louisville, TN; Braden’s Lifestyles, Knoxville and the Painted Room, Knoxville. Platinum Level: Robert M. Bly, Attorney, The Bly Law Firm, Knoxville; Edward Jones, Lenoir City. Gold Level: Jessica Green State Farm Insurance, Loudon; The Neighborhood, Tellico Village; Salon Anew, Loudon; Lauren E. Plemmons, Attorney, Loudon; The Town Framery and Gifts, Farragut; Master Service Companies, Knoxville; Volunteer Storage, Loudon; Lakepoint Homes, Tellico Village. In Kind Sponsors: Broadway Florist, Lenoir City; The Ugly Mug, Lenoir City; The Village Salon, Loudon; Tellico Village Yacht Club, Tellico Village; D Roberts Photography, Knoxville. Again this year at the Yacht Club home tour reception, we featured a sponsor “Meet and Greet” which gave those touring the homes a chance to meet our sponsors – ranging from finance, attorneys, insurance and home decor. Our silent auction returned this year with many items ranging from restaurant gift cards to golf lessons to Pampered Chef items and other gift baskets of home accents. Pictures of the items auctioned can be viewed under the 2018 Silent Auction tab under Home Tour. New this year, guest were treated to a seminar on decorating trends presented by Braden’s Lifestyles. There were two sessions – one at 1:30 p.m. and one at 4:00 p.m. Thank you to GFWC-Tellico Village members, The Village Salon, Sloan’s and United Community Bank in Tellico Village for selling this year’s tickets. — Located in the Mialaquo neighborhood is a charming Arts and Crafts design home that incorporates a tour of Tennessee rustic! 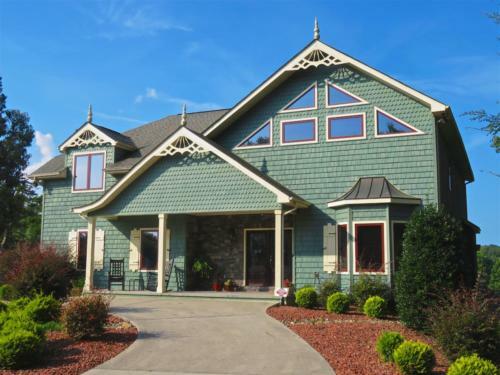 This home features beautiful Tellico Lake in its back yard which can be enjoyed by the fireplace on the screen porch. Inside the home features a gourmet kitchen (complete with a large hidden pantry) and a unique spa area for 4-legged BFFs. The owners of this beautiful home are clever and crafty and have incorporated their talents and hobbies into the home with great spaces for creativity. 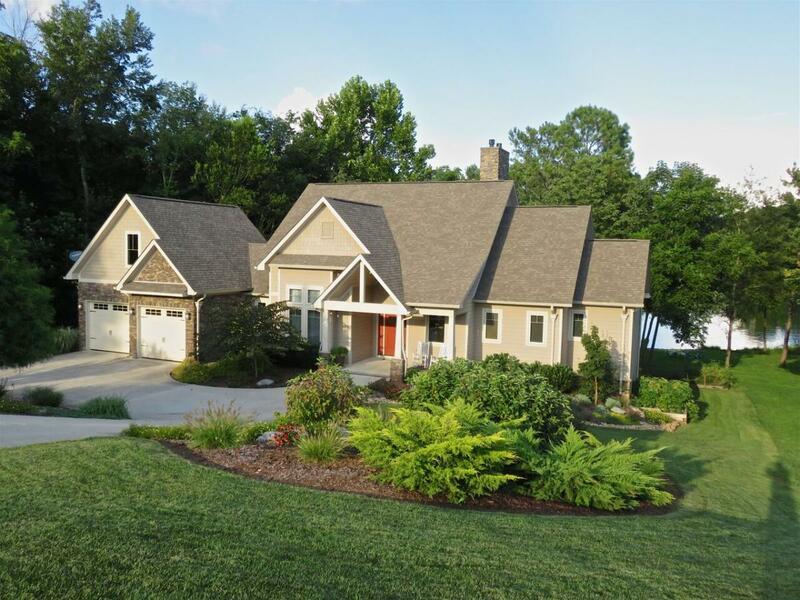 This home offers a gently slope to the water and is a great spot for relaxing and enjoying the best of lake living. — A beautiful 4200 sq. ft. home in the Toqua neighborhood greets you with a great room that offers a stunning 29′ cathedral ceiling of eastern pine above, exotic hardwood flooring below and phenomenal windows straight ahead. It was created to be a wonderful, peaceful environment for large family gatherings. You will see an amazing collection of sconces throughout the home that were saved from Opera Houses and Grand Theatres from around the world. An elevator from the main floor to the 2nd owner’s suite, a tram from the deck to the dock, and a family room in the loft are just a few of the many interesting concepts of this house. This home is a wonderful and peaceful retreat. — A 5,000 sq.ft. 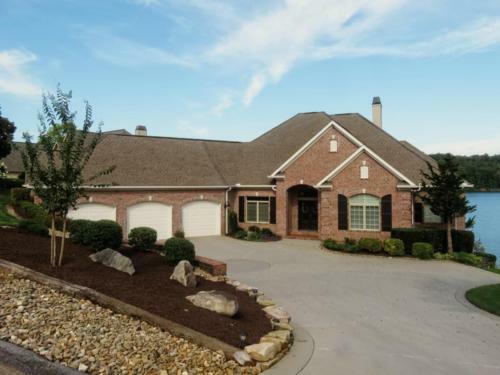 brick lakefront home in the Tanasi neighborhood was designed to offer a panoramic view of the main channels of the lake. The creative designs and renovations made by the owners and their daughter can be seen as soon as one walks into the house (and by viewing the before and after photos). There are wonderful mementos of time spent living all over the globe and the delightful mix of the new with the old creates an inviting home for all to visit. — A custom built 4200 sq.ft. home in Tommotley Shores is perfectly situated to capture panoramic views of Tellico Lake and Tanasi golf course. You may even catch a glimpse of adventurous divers on the lake-immersed silos. The kitchen with a relaxing built-in banquette, the large windows in the dining space, coffered ceilings and a peaceful office setting were well designed by the owners. The first floor is 2400 sq.ft. and the lower level is 1800 sq.ft and as the Mrs. says about the home—”A spacious ranch sitting on top of a 3 bedroom guest resort.” Come and enjoy the indoor and outdoor clever surprises everywhere you look! All proceeds from this charity home tour are distributed to local charities and organizations. Over the past 21 years GFWC Tellico Village has donated more than a quarter of a million dollars to our community.